Kristina L. Zeiser is a senior researcher at AIR. Her primary research interests include the transition from high school to postsecondary education, academic outcomes among English language learners (ELL), and social disparities in educational outcomes and experiences. Throughout her graduate career at the Pennsylvania State University, Dr. Zeiser received training in a variety of statistical methods, including longitudinal regression analyses, propensity score matching, hierarchical linear modeling, structural equation modeling, latent growth curve modeling, and event history analysis. 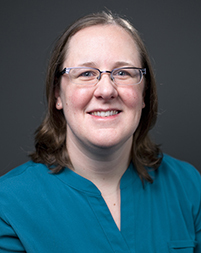 At AIR, Dr. Zeiser is applying her knowledge of quasi-experimental statistical techniques and natural experiments to investigate the academic outcomes associated with different types of high school organizational models. She also provides analysis support for two projects which utilize federally-funded data sources to assess postsecondary programs which provide assistance to underrepresented postsecondary students.